6 0ctober 2016: IN THE CROSS-HAIRS OF MATTHEW! 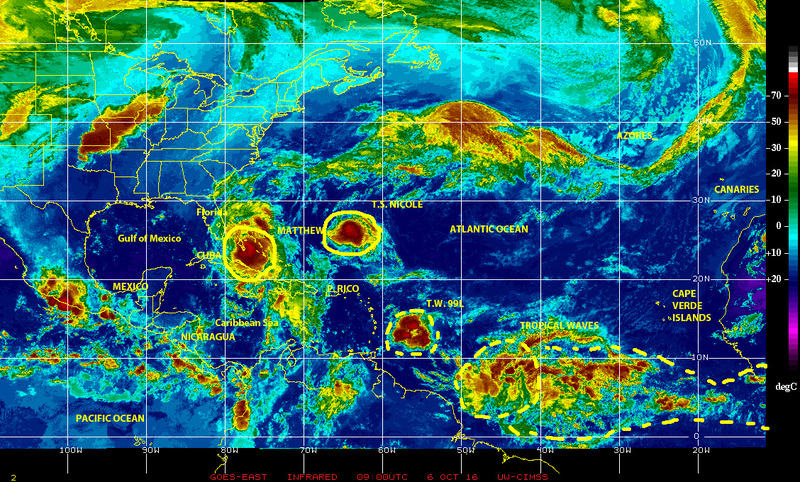 It appeared as a large storm cell over Equatorial Africa nineteen days ago, when tropical cyclones KARL and LISA were moving in the Atlantic, moving westward to emerge as one more tropical wave over the eastern Atlantic. As this tropical wave rode along ‘hurricane alley’ toward the Windward Islands our attention focused mainly on KARL and LISA. And then, THERE IT WAS! Tropical Storm MATTHEW was active over the southeastern Caribbean near the Venezuelan coast moving rather slowly westward. And now, this morning of Thursday 6 October at 6:30 A.M. MAJOR HURRICANE MATTHEW was located 350 kilometers (228 miles) from Miami over The Bahamas, strengthening yet again and getting better organized as it moved in the general direction of Southeast Florida at 18 kph (~11.5 mph). This is truly a dangerous hurricane, which has already caused death and destruction and plenty of damage in several countries in its path including, Haiti, the Dominican Republic, Jamaica, Cuba, and the Bahamas. Florida is now in MATTHEW’s sights, as well as other Atlantic states beyond. 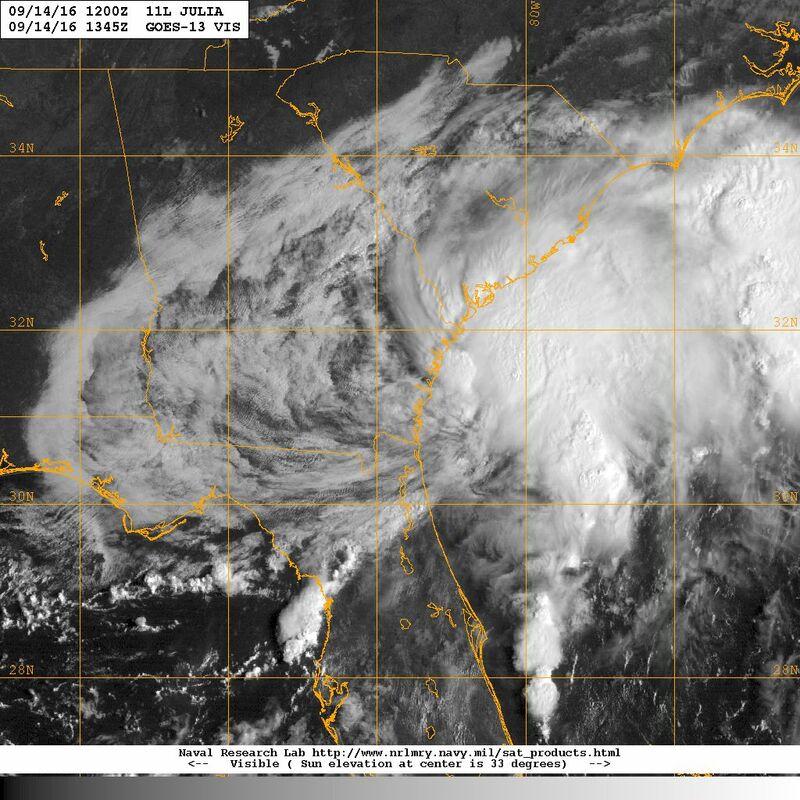 Is MATTHEW THE BIG ONE we have speculated about for quite some time now? After eleven years here in Florida without being hit by a hurricane, perhaps suffering from ‘hurricane amnesia’, let’s trust that thanks to the great work of the National Hurricane Center, the on-camera TV meteorologist, and emergency management officials, the message has been heeded and we are prepared for the impending punch from MATTHEW! 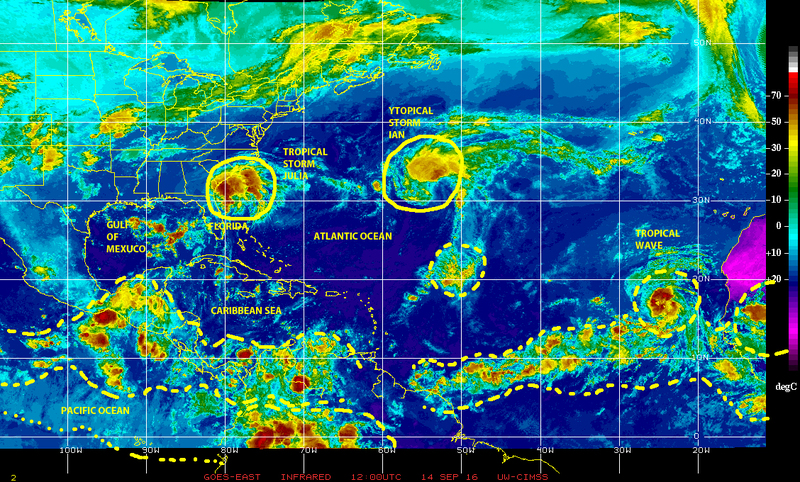 While we focus on MATTHEW and brace for impact here in paradise, we must remain aware of Tropical Storm NICOLE looming in the Atlantic east by northeast of Matthew, and also tropical wave 99L approaching the Windward Islands chased by a large glub of disturbed weather riding ‘hurricane alley’ to the east. 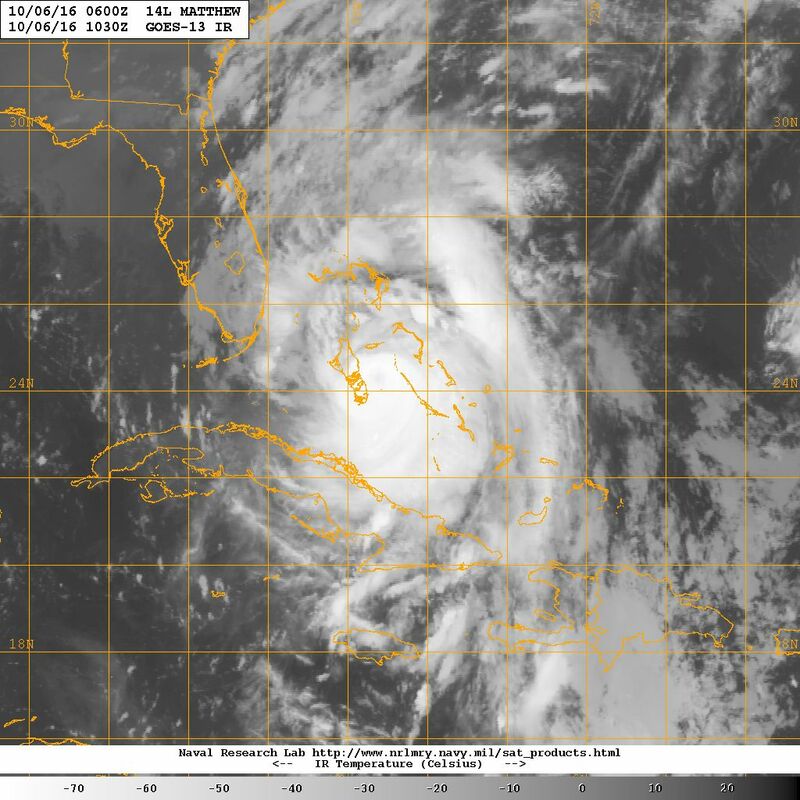 Infrared GOES EAST satellite image of 6 October 2016 at 0500 showing major hurricane MATTHEW, Tropical Storm NICOLE, and other potential cyclonic threats in the north Atlantic basin. So, in addition to MATTHEW’s impending threat, there are other hazards nearby and plenty of fuel for potential tropical cyclone generation in the not so distant horizon over the eastern Atlantic. Let us keep in mind that there is still plenty of ‘official’ hurricane season left in the Atlantic in 2016. We must pay attention continuing to monitor all of these potential threats. Remain alert. Be prepared. MITIGATE!